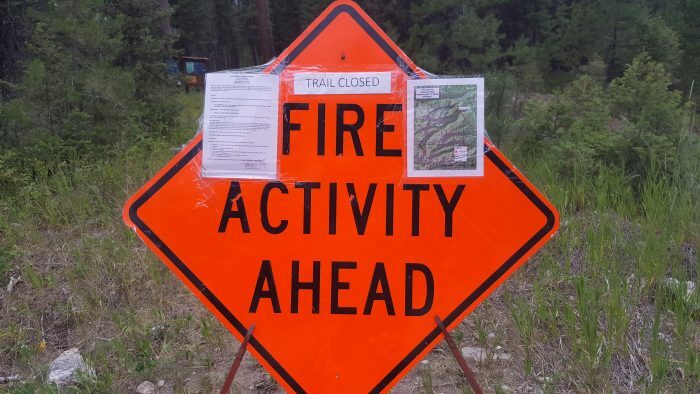 Even fires in the wilderness can result in trail closures miles away. Recent fires in areas like the one at Tin Cup Lake have raised concern for the USFS. Tin Cup Lake is about 12 miles from the trail head but a large safety zone has been mapped out and the trail is closed at the trail head. Trail closures for a fire twelve miles away may seem a bit extreme but sparks from a strong wind can ignite flames at long distances and flare up quickly. Be safe out there by heeding the warning signs.